Apink’s Bomi seems all smiley and perky in her YouTube videos, but she shared that creating video content has been challenging. 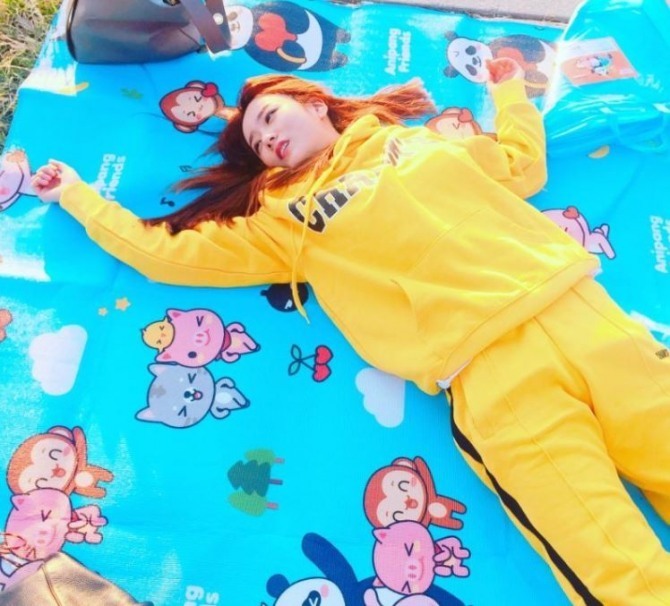 The cheerful singer launched her own YouTube channel, titled “Bbom Bbom Bbom,” in April. Spurred by her popularity, her YouTube channel drew more than 20,000 followers in just 20 days. And she said it was an effort to fill the gap between promotions and communicate with fans. “Since our group doesn’t have much promotional activities, we often face long hiatus. Sometimes I felt emptiness and fans had to wait a long time. So opening my own YouTube channel seemed like a way to cheer both sides up,” Bomi told The Korea Herald in a recent interview. “But more importantly, I have been into ‘meokbang’ (‘eating shows’) for four years, thereby gaining interest in YouTube. I’d often fiddled with my cellphone to make my own videos. And I decided to jump into YouTube to show my interests in a more comfortable and free way,” she added. The rookie YouTuber has recently recorded 419,058 subscribers and many of them have been praising her contents for their high-quality and freshness. Her videos span various topics such as beauty, diet, her ordinary life and cooking. And the singer shared that seesawing between the two jobs has been a tough journey.